What happens when a Scrooge-like boss and a determined young woman have to work together during the holidays? A Christmas of surprises . . .
Bret Radner once dreamed of being a hard-hitting journalist, exposing corruption and writing Pulitzer-winning pieces. But heart-tugging circumstances kept him at the Tall Pine Gazette, where small town life, new neighbors, and human interest stories are the news. In charge for the entire holiday season, Bret is determined to run the newsroom right. Yet with a too-pretty rookie reporter to train, he finds himself challenged on just about everything . . .
A waitress at the Pine ‘n’ Dine restaurant, freelance reporter Chloe Davenport finally gets her big chance to work full-time for the Gazette. But proving herself to her handsome boss won’t be easy. He turns down all her holiday-themed stories and, in fact, doesn’t seem to like Christmas at all. Yet the closer Chloe works with Bret, the more she realizes that his tough exterior conceals a hidden hurt . . . and a heart she wants to fill with glad tidings of great joy—for many seasons to come . 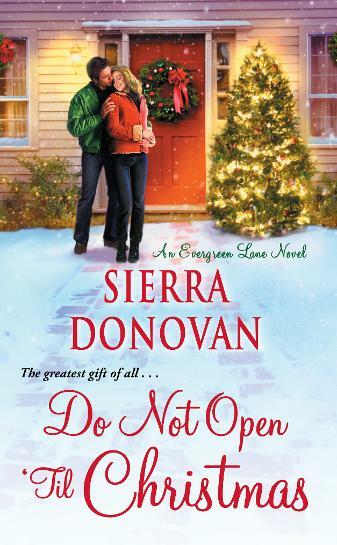 . .
"Sierra Donovan captures the magic of Christmas in this charming and romantic tale. I smiled the entire time I was reading it!" "Donovan keeps the magic going. . . The Christmas cheer and sense of love will melt the heart of any reader." - RT Book Reviews on Do You Believe in Santa?